YouTube is the world’s best resource for all type of videos ranging from Kitchen recipes to Science and Technology. The best thing about this service is that everything is free to watch. But sometimes it becomes tedious to wait for a video to complete its buffering, and this get even worst when you have watch the video offline. Official YouTube app doesn’t allow you to download any video. However there are many tweaks that make it possible for users to download videos from Youtube and YouTuber is one of them. 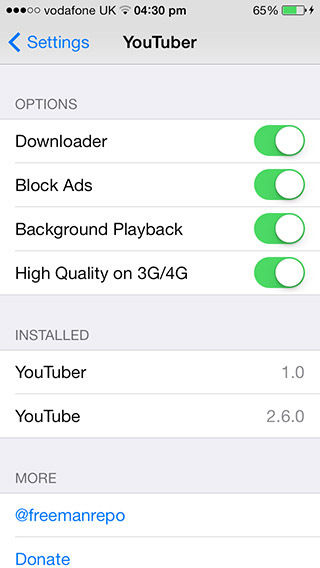 YouTuber a free Cydia tweak integrates downloading along with many other useful features to official YouTube app. After installing the tweak all you have to do is tap the 3 dots button as shown in screenshot above. It will ask you to chose the video’s download quality. Select the quality you want and wait for tweak to complete the download. Once completed it will show you an option to import the video to your Photos app. 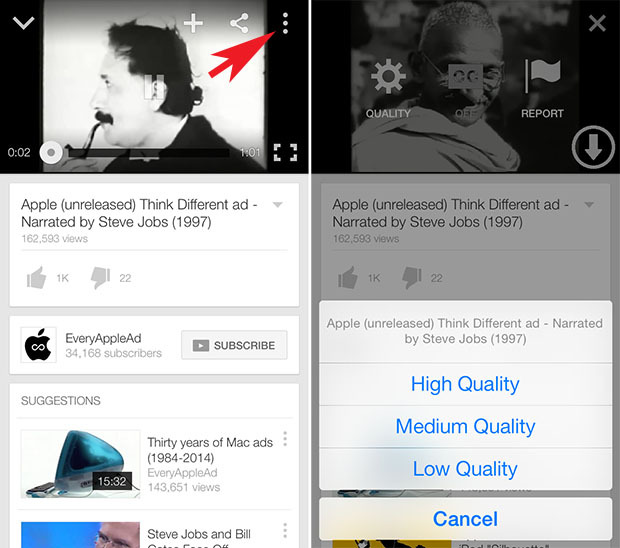 Besides ability to download videos, YouTuber also gives you the ability to enable “Background Playback”, a feature that allows you to listen to the audio of any video even after switching to other apps. Other features include ads blocking and enabling High Quality videos playback on 3G or 4G network connection. In short YouTuber is the best and a must have tweak for all the YouTubers out there. You can download it for free from Cydia. We tested this tweak on the latest available version of Youtube i.e 2.6.0 and it works flawlessly. Note: We are against piracy of music and are posting this tweak only for educational purposes.